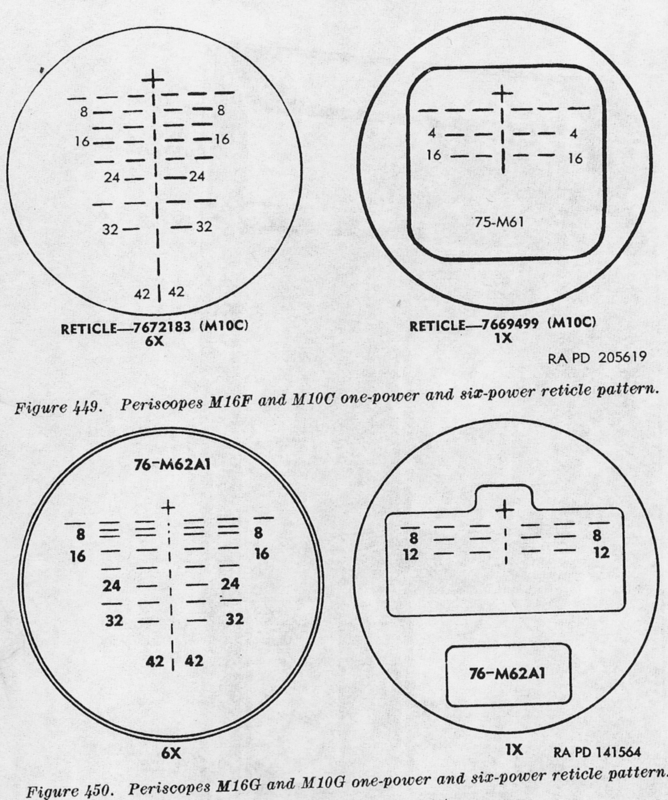 This page will be about the gunners position in the M4 series. 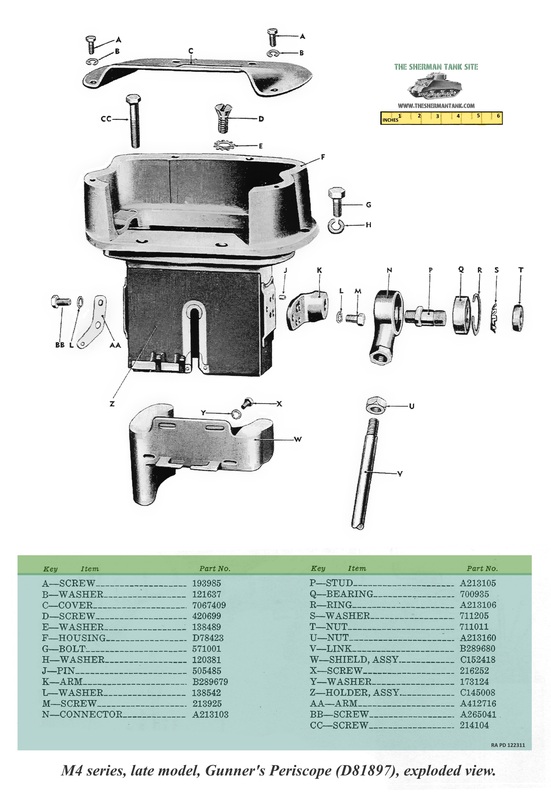 This is where we will have images from the manuals, actual photos, and a closer look at his various tools. 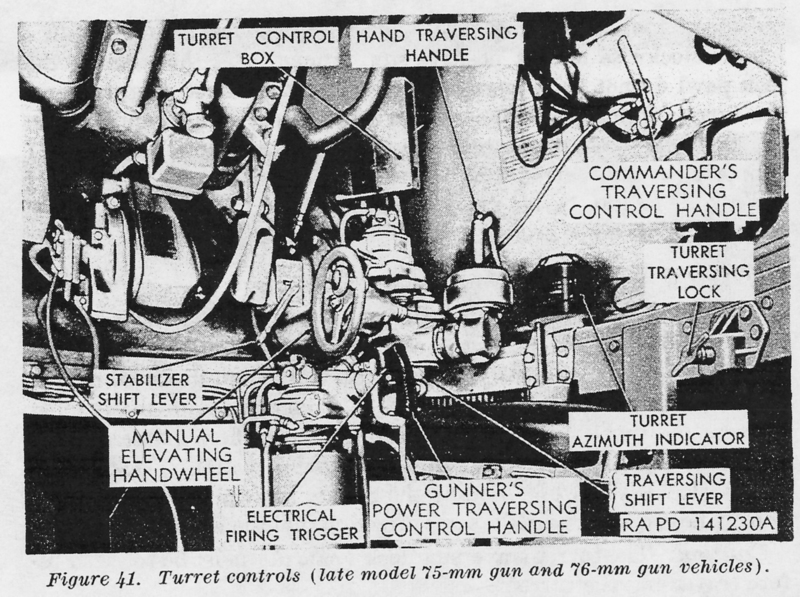 The late war M4 gunner had a much nicer set of tools than the early war tankers, but he was also facing much earlier tanks, tanks the Sherman was better than, like the PIII and early IV. 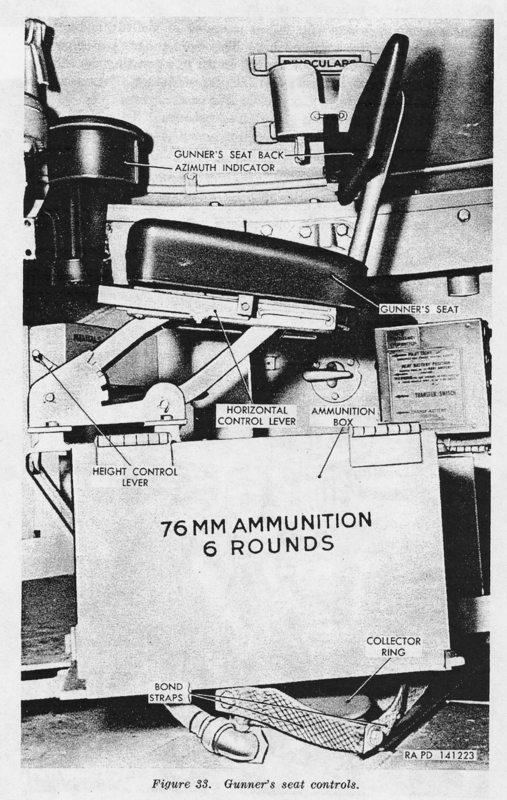 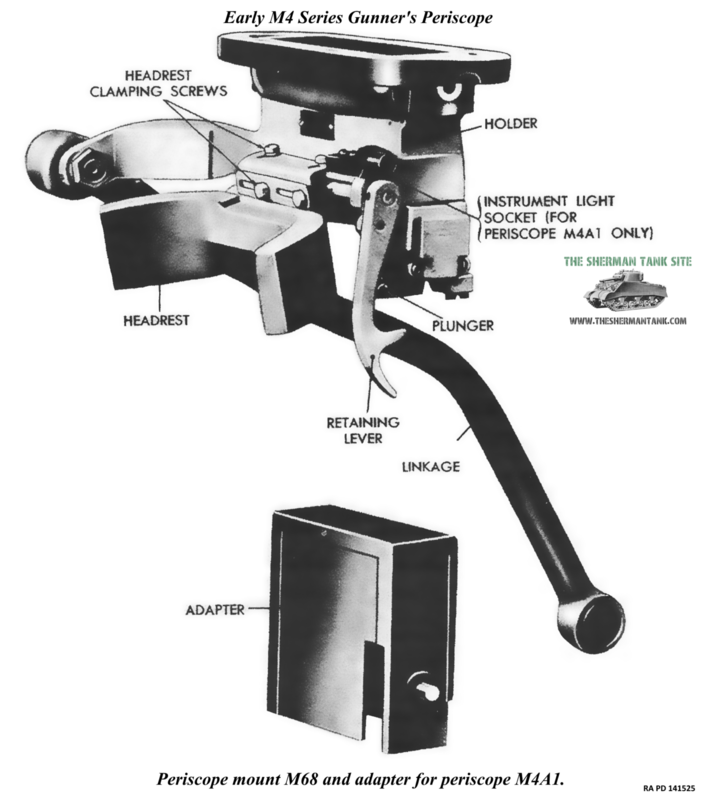 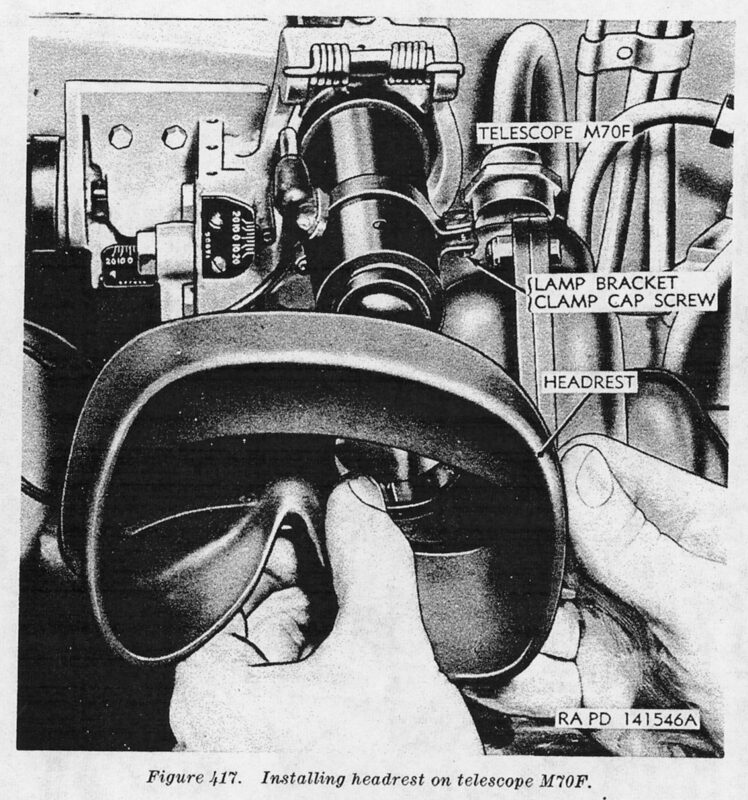 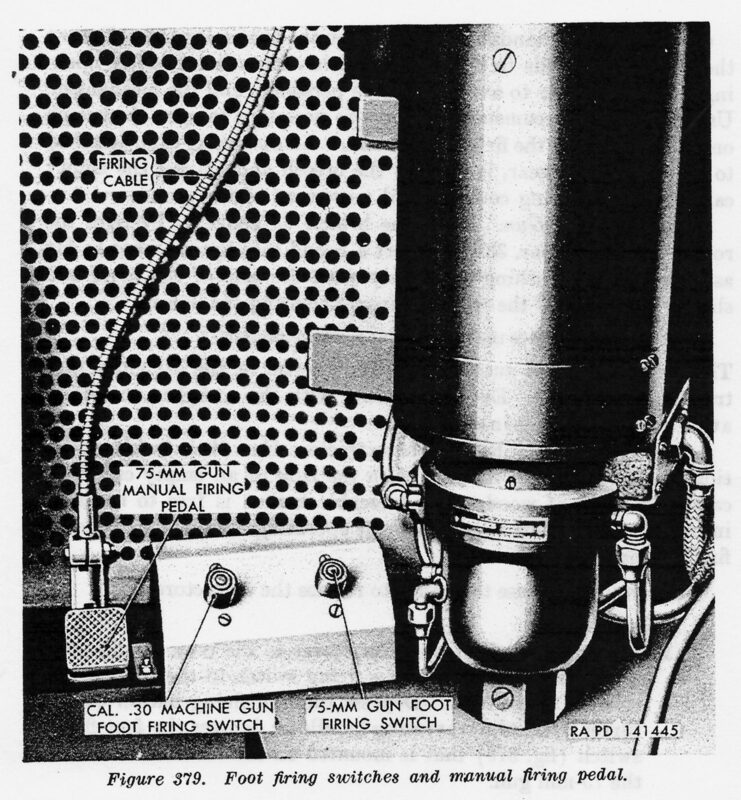 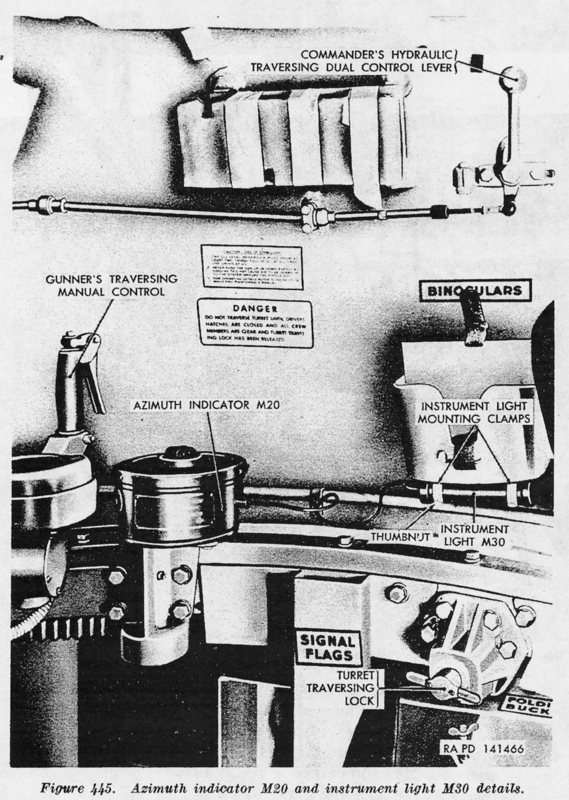 The early war M4 gunner had only a periscope based sight, with no zoom. 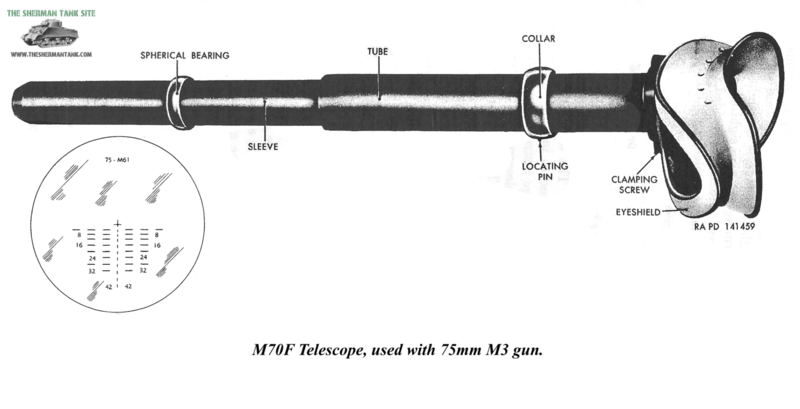 These were quickly replaced with periscope sites that had a telescopic sight built in, so he had a 1 power view and a 2 or 6 power telescope. 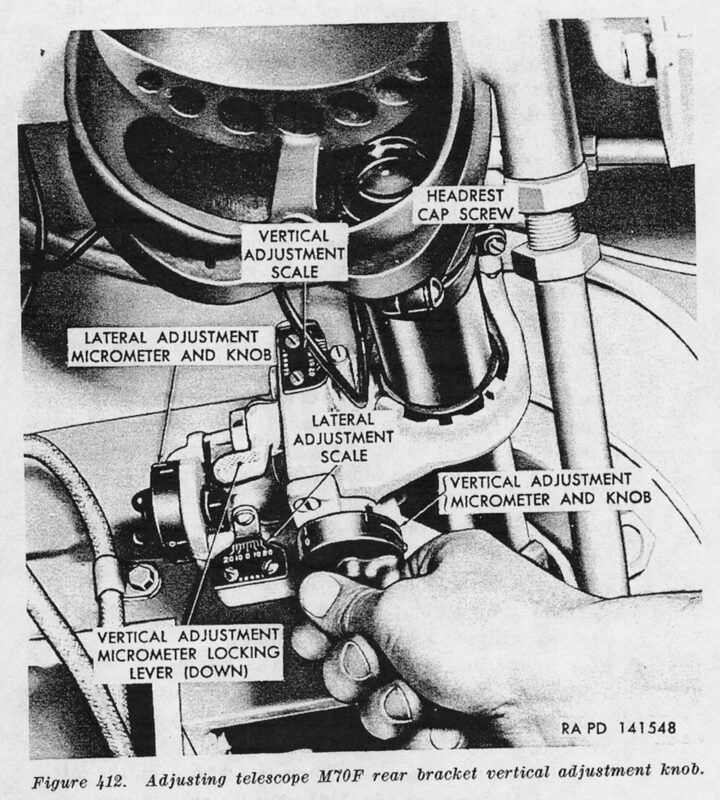 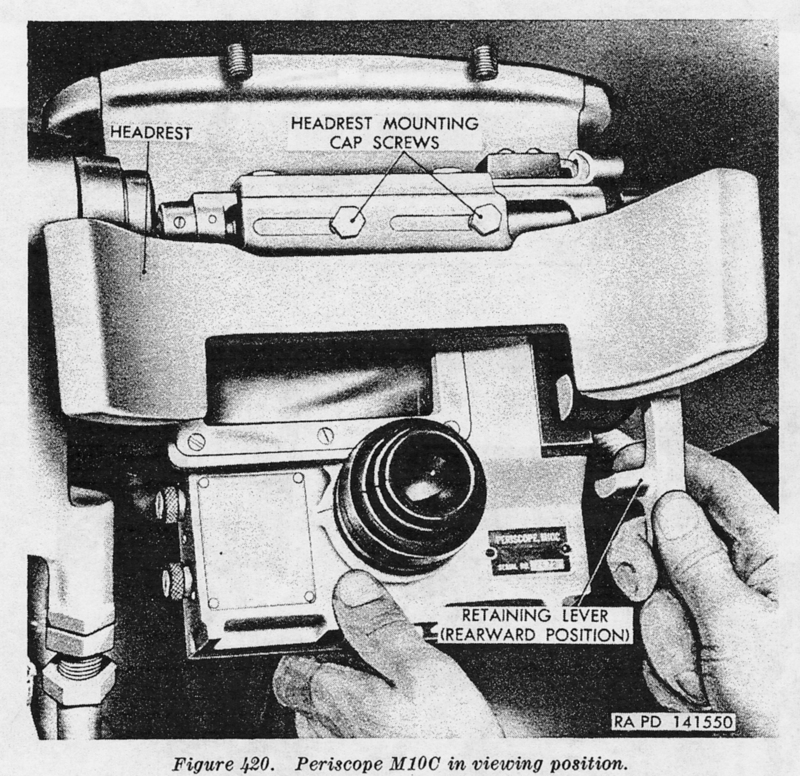 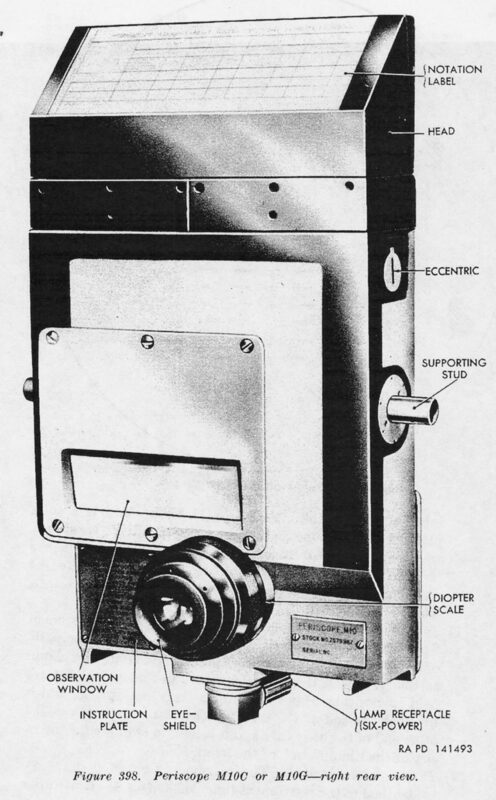 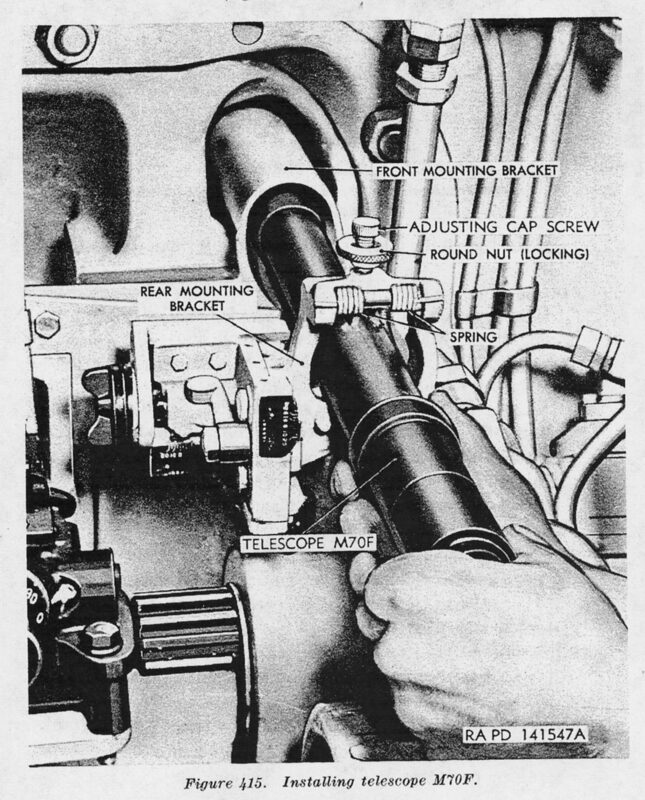 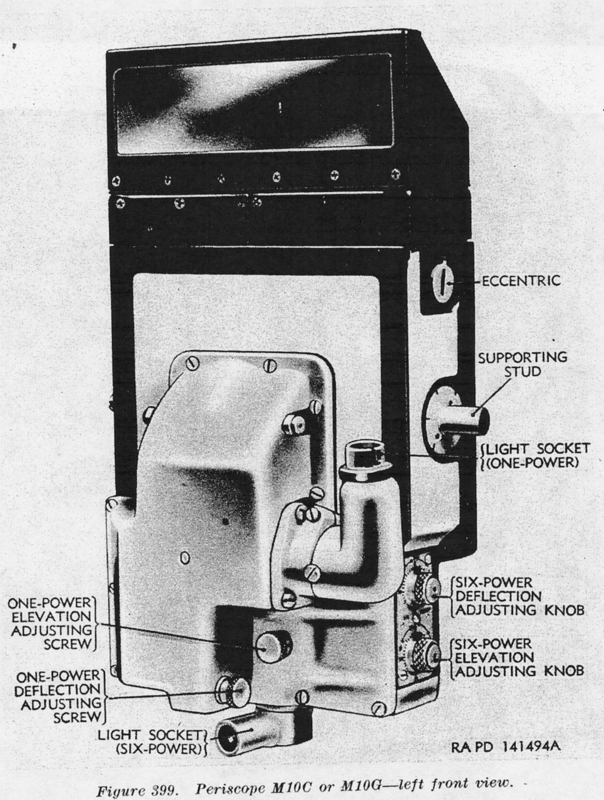 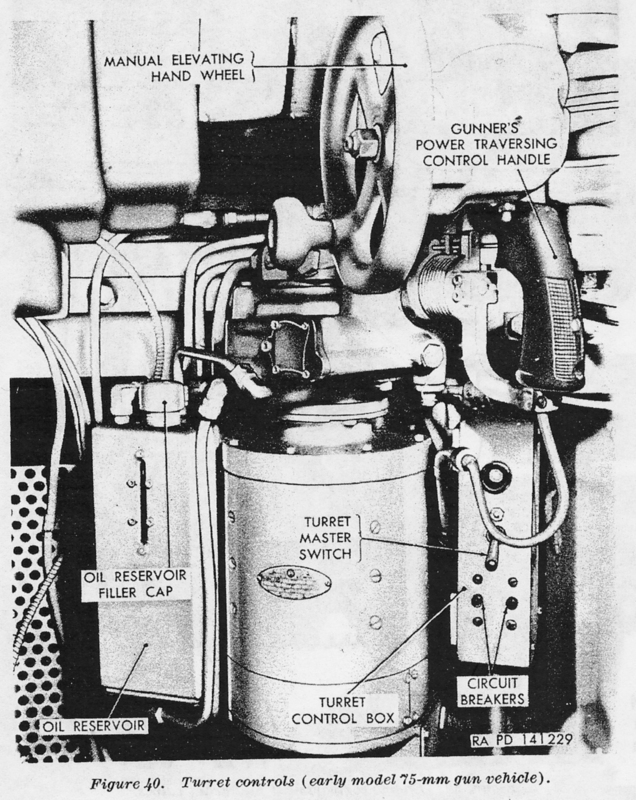 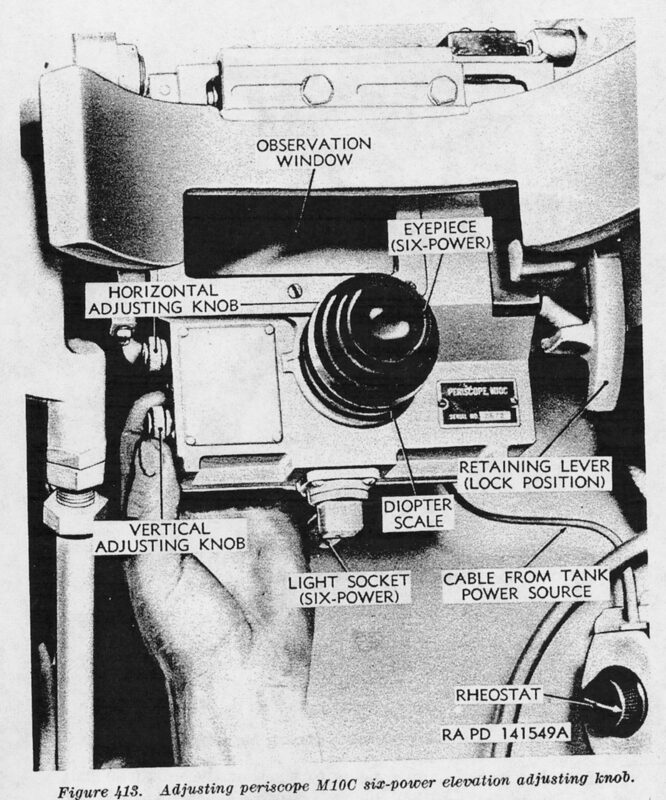 The early periscope housing had a tendency to lose its zero after a few shots due to weak linkage. 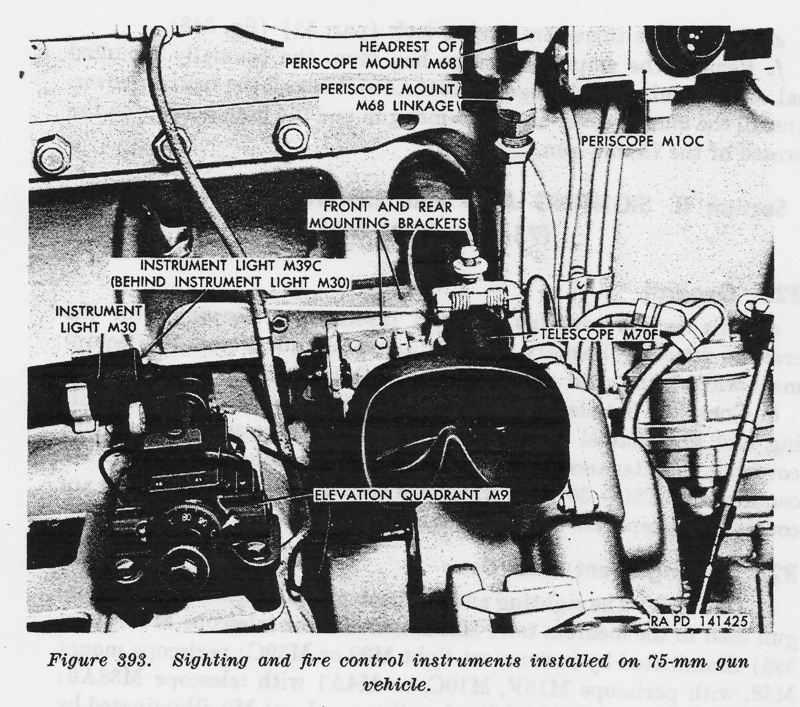 The troops in the field found ways to jury right the mount to make it work, but a totally improved periscope sight mount wouldn’t come until the second gen Shermans started rolling out. 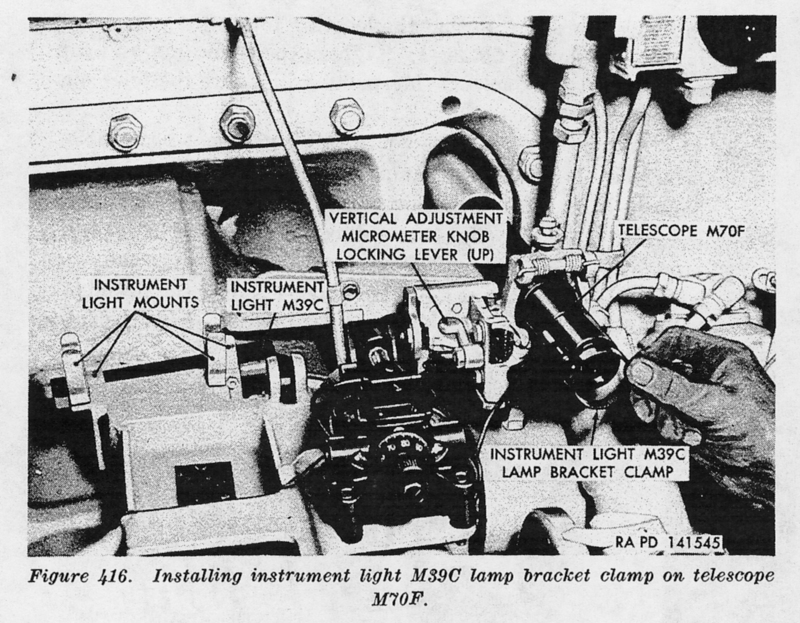 The nice thing is most of the improvements were easy to retrofit to the earlier models of the M4. 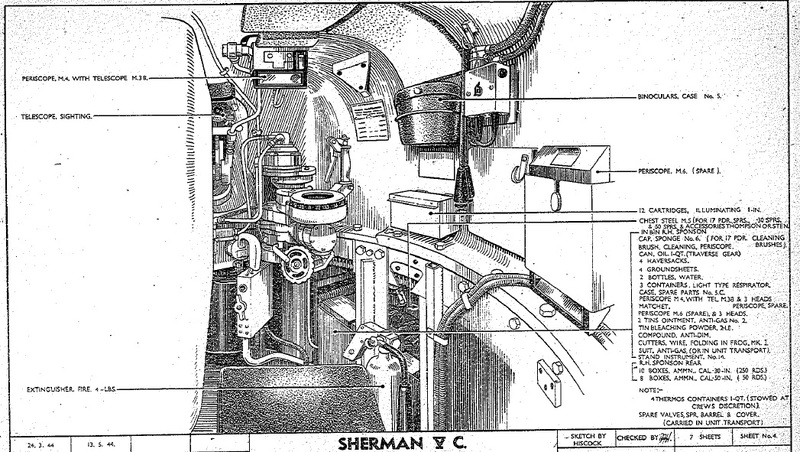 This is how so many of the Sherman tanks used as monuments do not have the correct early commanders hatch and improved periscope sight mount. 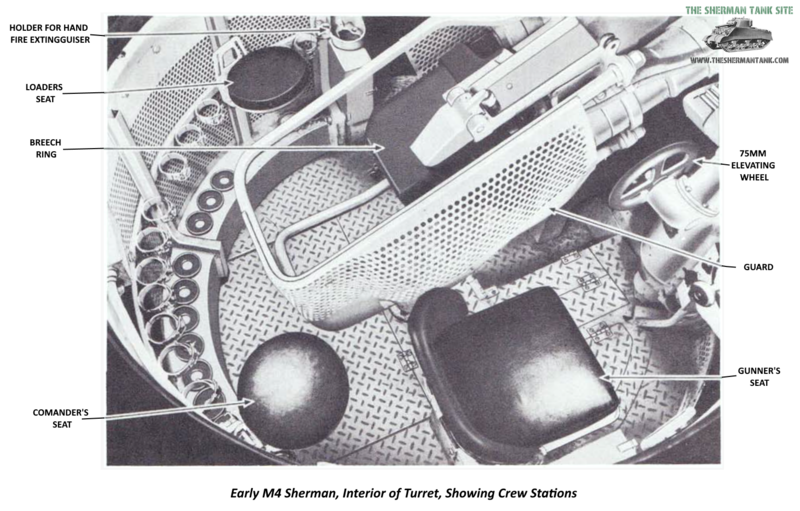 Most of the tanks went to through at least one depot level overhaul before ending up in a park or as a gate guard.